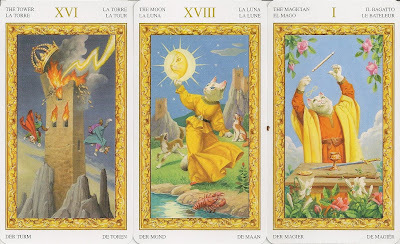 The Tarot of the White Cats is very much in the tradition of the Rider-Waite Tarot - except for the blue-eyed, white cats (and one dog who is, of course, the Fool) drawn in the cards, instead of people . The Courts follow traditional elemental treatment. 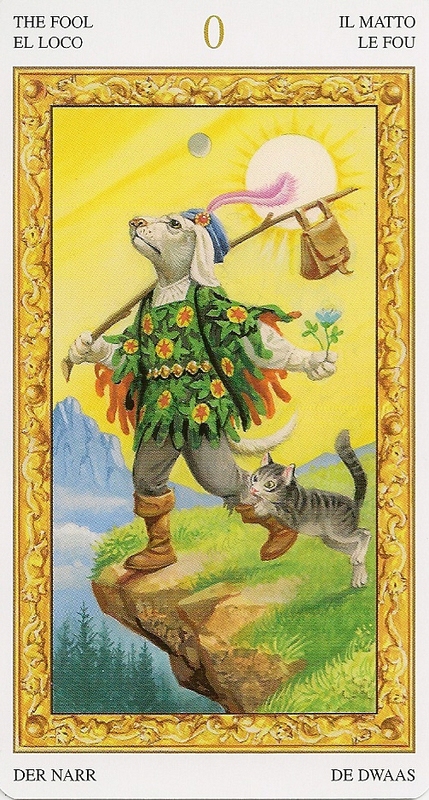 There is a lot of occult symbology, disguised within 'children's illustrations' . 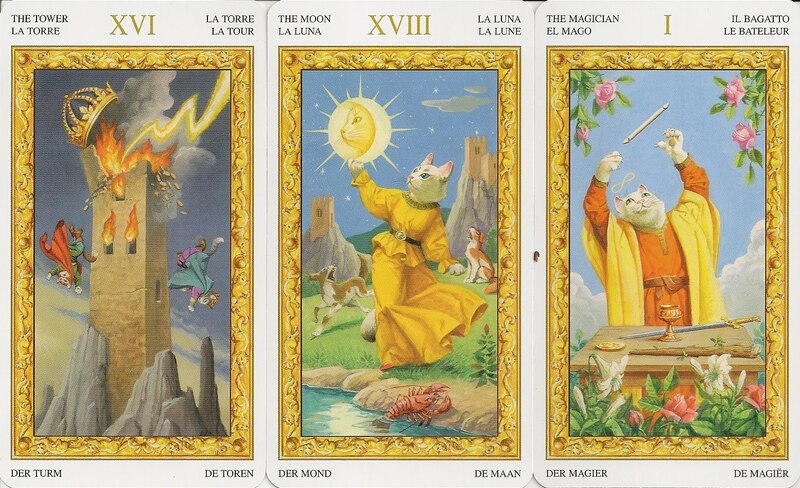 The companion booklet from Lo Scarabeo is in the usual five languages and contains the divinatory meanings, majors are listed by number.